Contamination is the single biggest problem you are likely to face with waste disposal on your site. The cost impact of contaminated waste may currently be hidden from your view. Understanding how contamination affects your waste costs is the key to discovering a better approach to waste management. Enviro-Waste will help you solve this rapidly and professionally. Contaminated waste: it’s a problem, but straightforward to solve, when you strengthen management control of waste processes. With a series of improvements that Enviro-Waste will help you rapidly implement, you can dramatically reduce those costs while increasing operational efficiency and improving your organization’s green credentials. Why is contamination such an important issue to investigate? and continue to pollute the environment instead of being part of the solution. Food waste is the most common culprit: just a bag or two of food waste thrown into mixed recyclables renders the entire binload as nothing but… well… rubbish! Contact Enviro-Waste to discuss your current waste management, and let us devise a de-contaminated, organized Waste Management Program that restores your green credentials! When your waste is contaminated it is less likely to be separated properly and find its way to proper recycling. The British government is increasingly pushing stronger legislation to encourage the “circular economy” and flagship property groups, large hotel chains, and catering groups are first in line for scrutiny of environmental credentials. Soon, contaminated waste will be even more expensive to dispose of. Landfill: don’t be part of the problem! Becoming part of the solution is easy with the right processes in place, and a significant cost-saver. Turning your site waste flows from essentially a polluting, disorganized problem into a best-practice recycling system is actually relatively fast. The improvements in processes, training, and equipment that you need to put in place are largely common sense… once you know how. Enviro-Waste supports you throughout the improvement process, from advice and planning, through implementation, training, and ongoing process management. 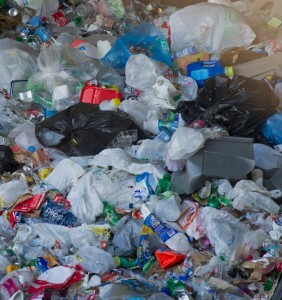 Unsorted and contaminated waste is a liability, costing you money to take away, and risking harm to your reputation if untidy and overflowing bins and skips become an eyesore and cleanup problem on site. In contrast, properly sorted waste at the point of disposal will provide a number of new revenue streams, as you have produced transportable categories of recyclables. The best part of improving your waste management is that it does not cost you extra: in fact you save costs via income from clear streams of recyclables. Instead of paying carriers to take away contaminated waste from your site, you could be receiving payments for selling recyclables. 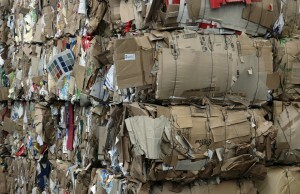 We sort this out for you including brokering fair prices in the market for your outgoing recyclables. Our uniquely effective Waste Management Program is suitable for hospitals, schools, shopping centres, cinemas and restaurants, hotels and caterers, and other large facilities. We provide rapid response, intelligent assessment of your current waste situation, clearly define with you where you need to be, and work closely with you to implement a more professional approach on site. 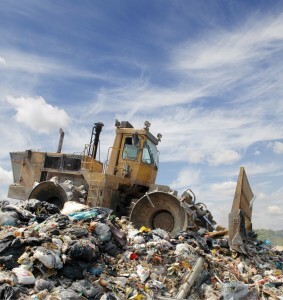 Enviro-Waste are the leading independent waste management advisors in the UK. Call us to get expert advice on your waste management, and discover how you can switch to more efficient, cost-effective waste disposal processes.